A recent ESPN article highlighted Arian Foster, the six year running back for the Houston Texans. Foster has run for more than 6,000 yards and has been named to the Pro Bowl four times. The ESPN article features a cover story titled "The Confession of Arian Foster" in which he talks about why he doesn't believe in God. There are lots of people that struggle with their belief in God from time to time, just like Foster, so I was not sure why his story would be a cover story. It turns out that Foster is different in that he grow up with a Muslim father, which resulted in him reading the bible many times. This is what separates Foster from other NFL players. He has studied the bible and therefore he can defend his unbelief. This is what the article seemed to be pointing out. Foster has looked at Christianity and does not believe in God. Foster goes on to question the origin of life and why he puts his faith in science. Frank Turek’s book “Don't Have Enough Faith to Be an Atheist” does just that, it proves Christianity and shows how Christianity answers the hardest questions better than anything. Dr. Turek's looks at the idea of having faith in a higher power or a set of religious beliefs is nonsensical. He points out that indeed many view religion in general, and Christianity in particular, as unfounded and unreasonable. But the evidence for Christianity is astounding. Dr. Turek detailed the scientific evidence for the existence of a creator. Reasoning with the evidence leads to the conclusion that Christianity is not only more reasonable than all other belief systems, but is indeed more rational than unbelief itself. 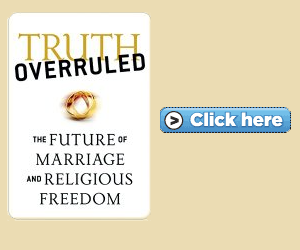 If Arian Foster gets a chance, maybe in the off season, he should consider Frank Turek's book.